The months of September, October and November are a truly beautiful time in Britain and offer plenty of inspiration for autumn bridal flowers and fall wedding ideas. The light is truly beautiful this time of year so makes for wonderful photos in the afternoon. And even though it gets darker earlier, an autumn wedding is the perfect opportunity to get creative with lighting – fairy lights and candles on tables – and create a magical day and evening for everyone. Leaves in all their shapes and colours are also natural elements that can be additions to autumn wedding bouquets as well as featuring as table decorations or inspiring invitation, thank you-notes and confetti design. Leaf love for autumn weddings. Leaves are the real stars of autumn, looking beautiful in the afternoon light, and provide great inspiration for autumn wedding design. Use them to make up table centrepieces and add to jars filled with tea lights to create beautiful additions to guest’s tables. Crunchy autumn leaves can also be used to fill large vases to make unique table autumn wedding decorations. Leaves can be an alternative to September and November wedding flowers – this time of year they turn an array of beautiful colours and shades of red, orange and gold. Oak leaves are perfect for a classic English wedding and can be arranged in vases or used to make up autumnal bridal bouquets. Large red leaves added to baby’s breath or leaves added to dark colour bouquets will make unique fall designs. And you could spray them with gold or glitter to add extra glamour. Gold leaves can also be used as place settings – just write the name of each guest in calligraphy on them. Instead of traditional confetti, use leaf-shaped confetti for guests to throw. Or do away with confetti altogether and get your guests to wave sparkler – they’ll make for stunning photos! Tie autumn leaves together with sprigs of lavender or rosemary and add acorns or cinnamon to make heart-warming table place settings for guests. Autumn leaves can even be scattered up the aisle to create a beautiful outdoor feel for the bride, groom and guests during the ceremony. Lighting the way. One of the truly special things about autumn is the golden afternoon light illuminating the parks and woodland and streets scattered with leaves. Capture some of this magic with delicate lighting with your autumn wedding decorations. Strings of fairy lights will create a beautiful atmosphere for an indoor or outdoor wedding and can be used at the ceremony and reception. Fairy lights strung round trees will make a stunning entrance to the reception area for your guests, so no one will mind the fact that the night draws in sooner on these autumn days! Lanterns and glasses filled with tea lights also creates a magical feel, and you can get creative with the autumn wedding theme by using the produce of the season to hold candles. Pumpkins, squashes and hollowed out apples will all make perfect candle holders creating colourful additions to tables. 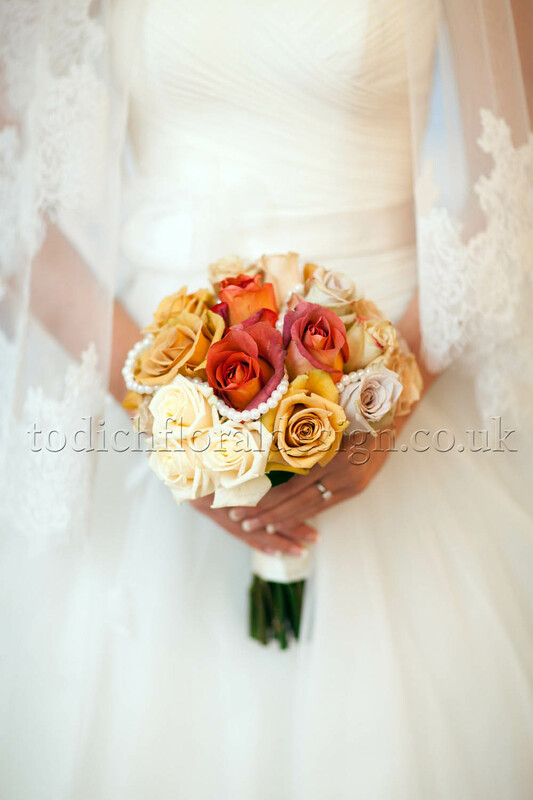 Todich Floral Design is a wedding florist in London that offers Bridal Bouquets in a variety of shapes & Styles – It’s the magic and romance of weddings that make the spring and summer seasons a special time of year. Planning a London wedding can be a daunting but exciting process, it is always advisable to start researching and planning early so to not get too over-whelmed and stressed for the big day. 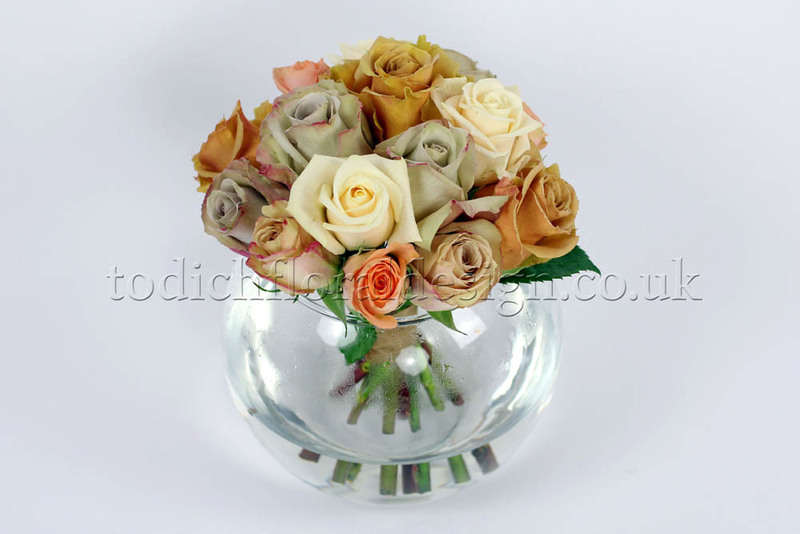 If you are looking for wedding flowers in London then London florist Todich Floral Design offers an award winning service like no other. Established in 2001; the company specialises in all aspect of providing bespoke wedding flower arrangements. 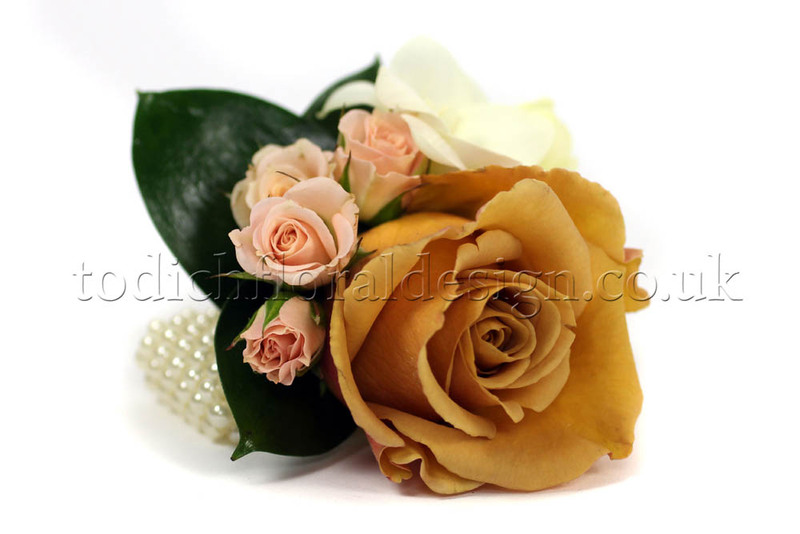 The florist designs bridal bouquets, bridesmaids flower bouquets, wedding buttonholes, flower corsages, wedding candelabras, wedding reception flowers and church wedding flowers. 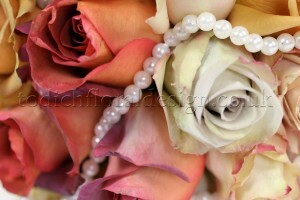 The wedding consultants will help guide you through every step until the day of your wedding, they will help you choose your wedding bouquets, London and our skilful team will even help advice suitable wedding flowers with taking into consideration the colour scheme, wedding theme, seasonality and budget. Todich Floral Design offer free personal consultations to all London brides getting married in London. 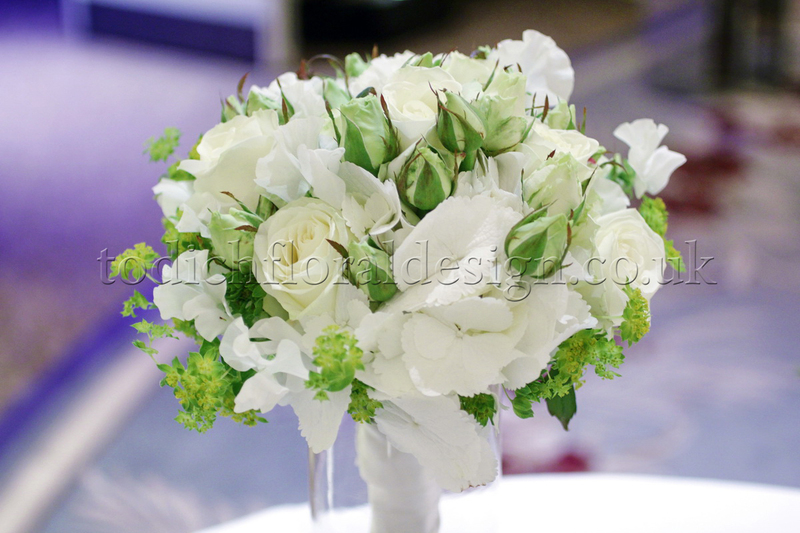 Todich Floral Design offers a timed flower delivery service to all London weddings; we deliver the wedding flowers on the morning of your special day and will even install the large flower displays free of charge! 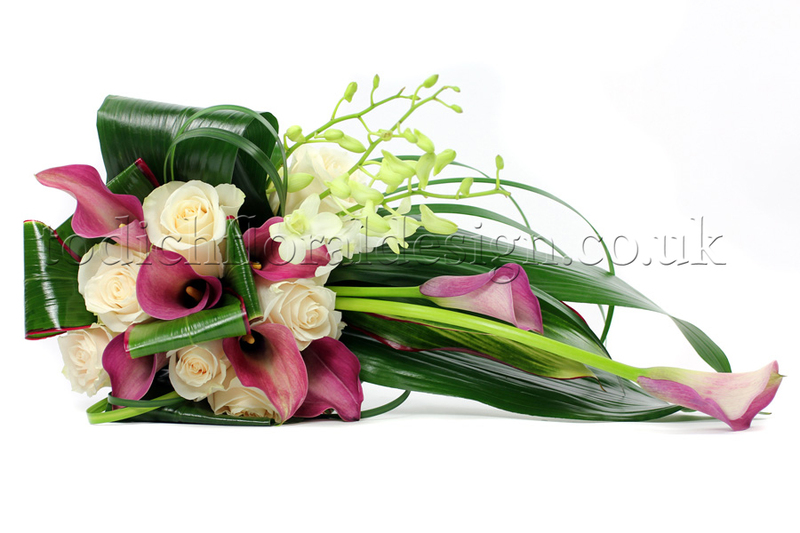 We at Todich Floral Design even go that one step further and provide a wedding flowers collection service and the end of the ceremony. Our online portfolio is regularly updated with our latest bridal wedding flowers, take a look at our Facebook and twitter page for new blogs and wedding photo albums. Contact us for flowers delivered in London, by calling 02077371166 or by emailing weddings@todichfloraldesign.co.uk.